The origin of the bug is that bar and stairs generate hggroup plot-children, which saves the legend strings column-wise rather than the expected row-wise. My fix solves this, but I do not presume this solves all possible problems in all scenarios (please report if you find anything else). p.s. – object visibility in the legend can be controlled on an object-by-object basis using the semi-documented hasbehavior function. The DynamicLegend feature is semi-documented. This means that the feature is explained in a comment within the function (which can be seen via the edit(‘legend’) command), that is nonetheless not part of the official help or doc sections. It is an unsupported feature originally intended only for internal Matlab use (which of course doesn’t mean we can’t use it). This feature has existed many releases back (Matlab 7.1 for sure, perhaps earlier), so while it may be discontinued in some future Matlab release, it did have a very long life span… The down side is that it is not supported: I reported the bar/stairs issue back in mid-2007 and so far this has not been addressed (perhaps it will never be). Even my reported workaround in January this year went unanswered (no hard feelings…). DynamicLegend is a good example of a useful semi-documented feature. Some other examples, which I may cover in future posts, include text(…,‘sc’), drawnow(‘discard’), several options in pan and datacursormode etc. etc. There are also entire semi-documented functions: many of the uitools (e.g., uitree, uiundo), as well as hgfeval and others. Have you discovered any useful semi-documented feature or function? If so, then please share your finding in the comments section below. I was in a similar need, and was getting the legend cell via get, appending the new string, and setting the cell back. and I found out this ‘feature’ is an undocumented built-in function. How I got across it? I typed configinfo.m M-file attached to Matlab white paper on performance. 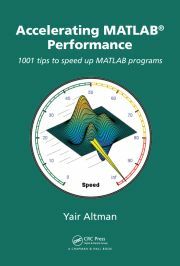 Nice blog, useful even for a beginner in Matlab as I am. I plan to write a post about some of feature‘s features in the future. Keep a look-out for this on this blog. You can see this in my TODO list. I was searching for a way to use a legend’s “refresh” function (that is available when right-clicking on the legend with the mouse) in a script. When I came across this post I first thought this was the way Matlab implemented the “refresh” functionality. is ignored by the ‘DynamicLegend’ feature. The “refresh” function correctly removes the corresponding legend entry in these cases. Do you know how to use “refresh” from the command line? For the record, this invokes the refresh_cb function within %matlabroot%/toolbox/matlab/scribe/@scribe/@legend/methods.m. You can place a breakpoint there to see exactly what it does internally. I got the same Problem/Question as Stephan I do plot all data in the Fig however only some data is visible but in the legend all data even the one not visible is listed. Only by right klick an refresh I can get rid of them however I can’t do that with every single file…. Hope there will be a solution in the future. @Stephan and @Andy – the Legend’s DynamicLegend functionality only listens to newly-created axes children (in %matlabroot%/toolbox/matlab/scribe/@scribe/@legend/init.m line 102 [for R2012aPR]), and axes children deletions (in %matlabroot%/toolbox/matlab/scribe/@scribe/@legend/methods.m line 1281 [R2012aPR again]). It should be relatively easy to modify any of these two places to listen to changes in the Visible property of axes children. I described the mechanism for doing this in several articles (here for example). 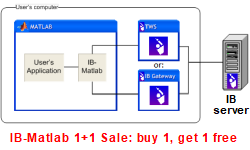 My University is using Matlab-R2011a. Could it be something related to their installation? What I am doing is using -DynamicLegend for plotting data in multiple iterations. However, I need to remove from the legend some plotted lines. Could you recommend other solutions? Thank you. @Teodor – try placing a drawnow after plotting the lines and before trying to access the hidden ScribeLegendListeners property. 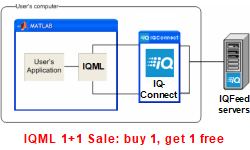 It is also possible that you are trying to access this property on a handle of another object (maybe one of the line plots, or a figure, or another axes), rather than the handle of the axes that holds the plots for the requested legend. Thx for providing DynamicLegend, I really like it! Arash Marashian (8 days 20 hours ago): Problem Solved. I found out that my version does not have this icon. thanks. Marshall (9 days 23 hours ago): This was a fun puzzle–don’t hesitate to add more posts like these if you come across some other fun ones! Reza (10 days 5 hours ago): I have the same problem. this Java widget got error in compiling via Matlab 2018! Could you please show me how to solve this? GGa (11 days 23 hours ago): There isn’t anything “outside the UTF-8 range”. UTF-8 can represent any Unicode character, as far as I know.